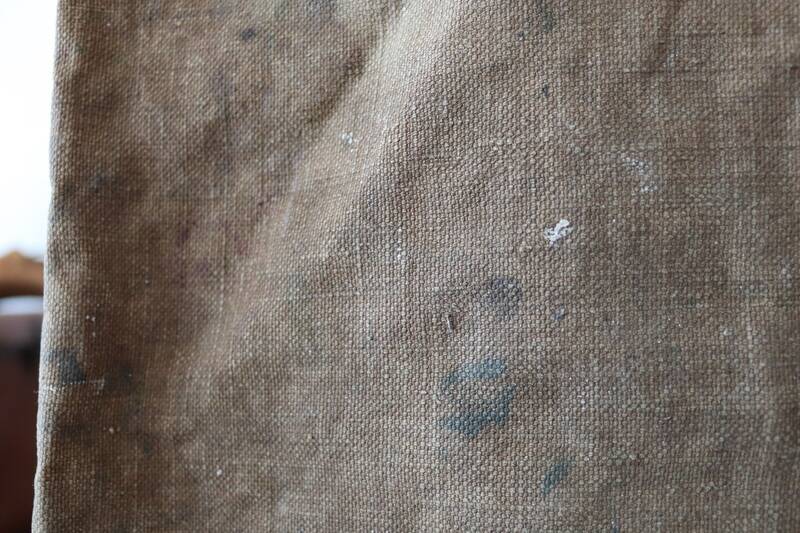 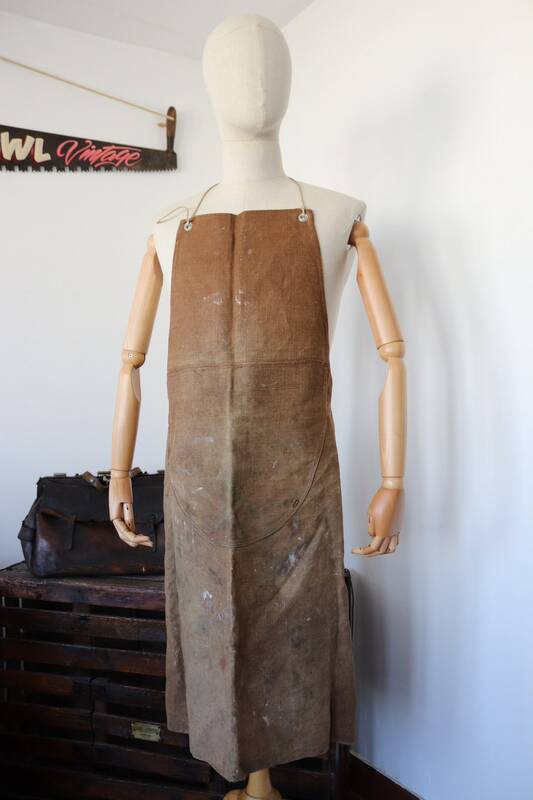 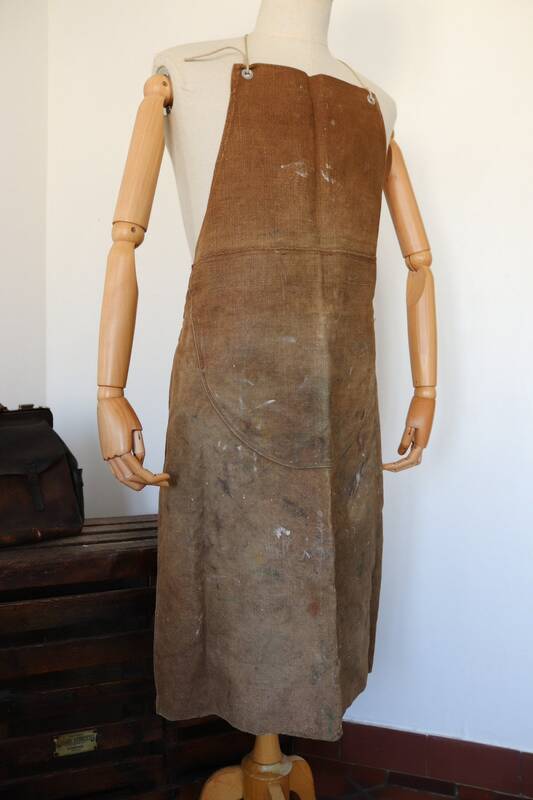 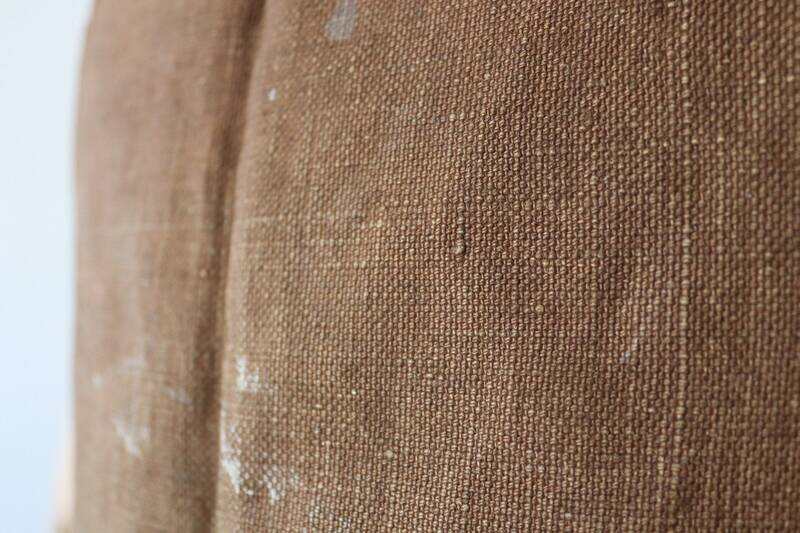 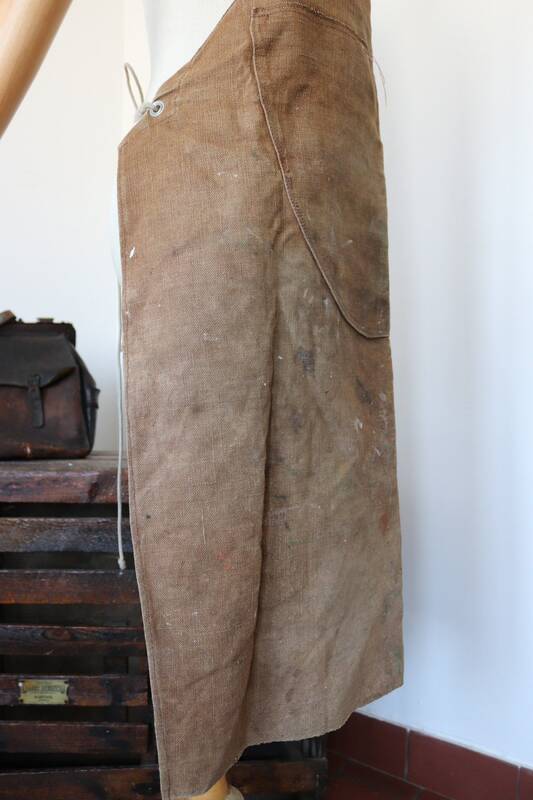 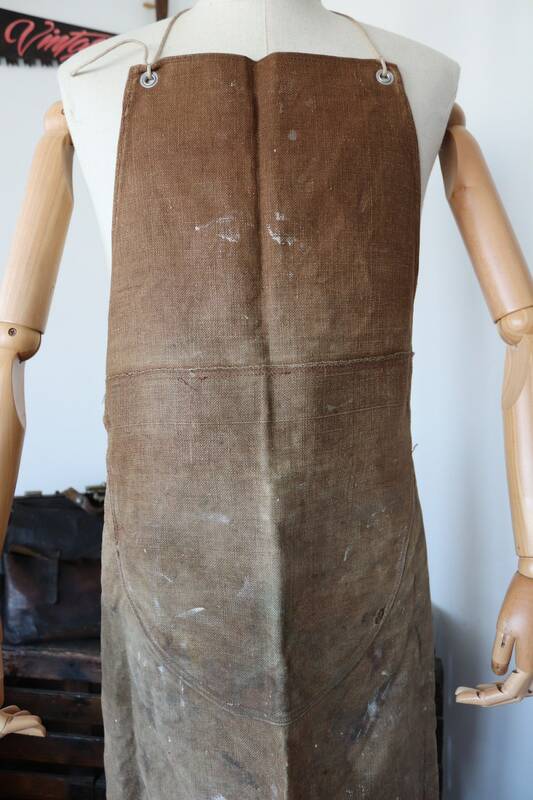 A thick, woven hemp French painter's apron, dating from the 1950s. 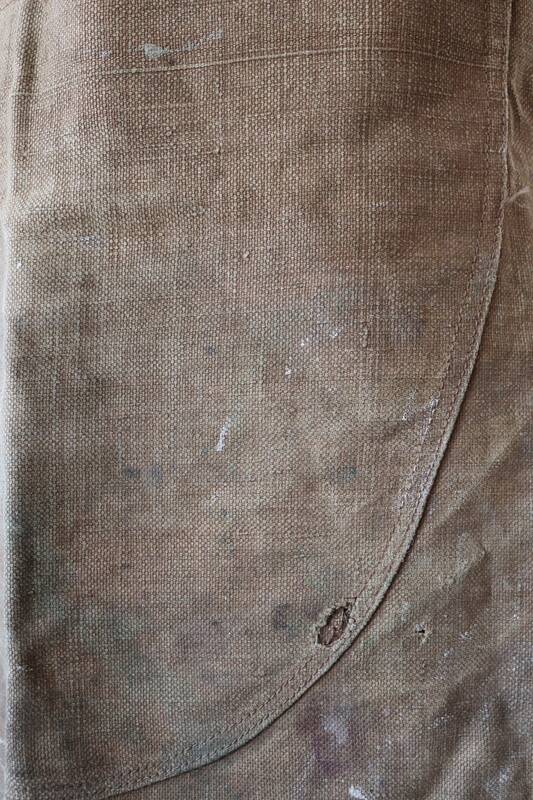 Noted flaws - paint marks throughout, the pocket never had the top seam split, so essentially, it's just a second layer at the moment - you could split it yourself if you need to. 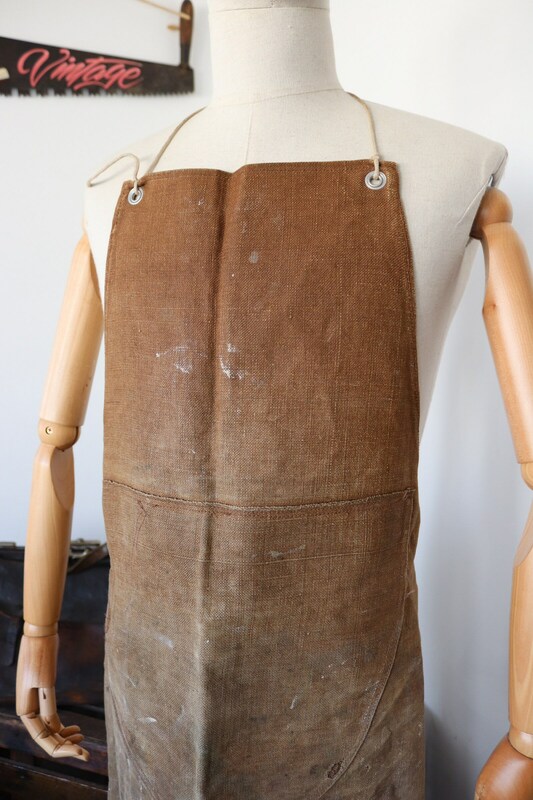 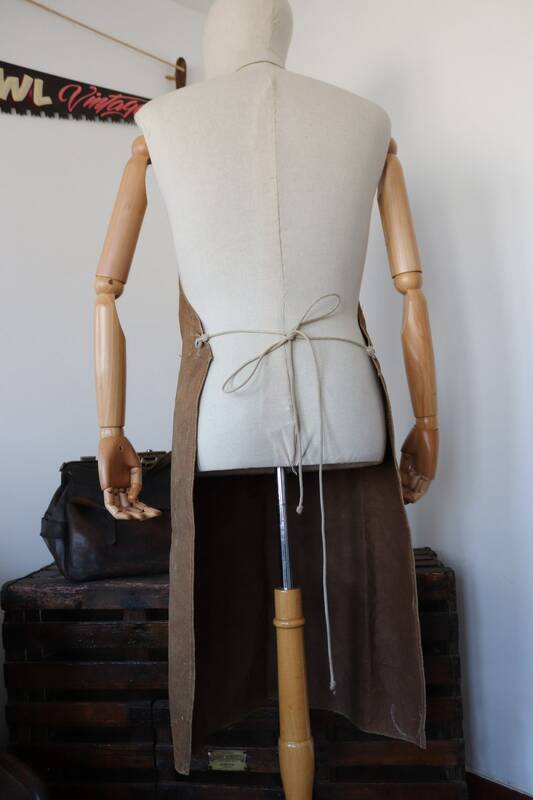 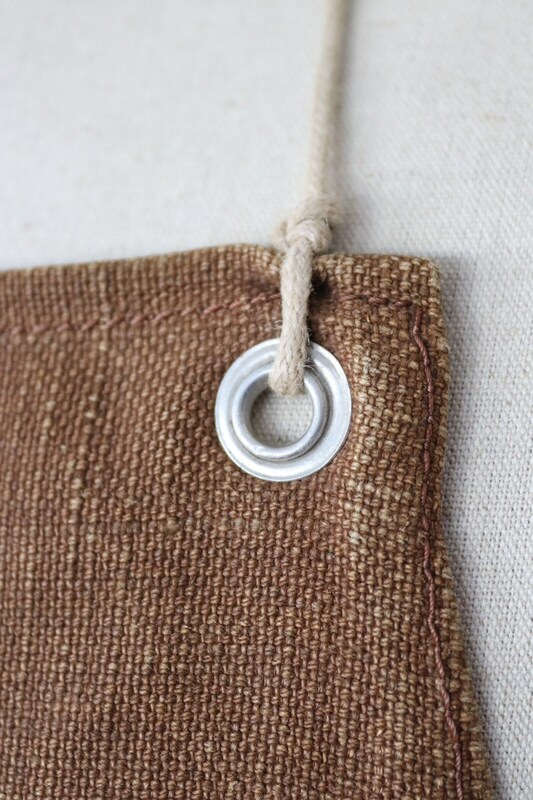 Riveted eyelets, thin but strong rope ties, tough, thick but supple fabric, great looking apron for all manner of crafts or hobbies, measures L39" x W27"